I enjoy your Yelp reviews and think its awesome that you get out to the cool spots. When I am in my 90s I wanna be like you. My grandma is 88 and quite the socialite. Keep the reviews coming! What is your #1 favorite restaurant in the greater LA area? Thank you for your message. I have a feeling you are going to be a very hip 90-year-old and give me a run for my money. Your grandma sounds like a hoot! There are so many wonderful restaurants in Los Angeles, but if I had to pick a favorite, I would say Philippe the Original. That was my place with my family for many many years. 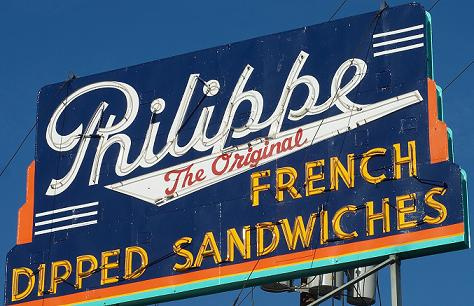 We always just called it Philippe’s. You can always count on the food and the lively atmosphere, and being there always means that I am spending time with the people I love the best. Also, there are no pretenses in that place. I never feel like I am going there to be seen. You walk in, you get your sandwich, you do your thing and that is good enough for me. Plus, who could forget their cole slaw? !